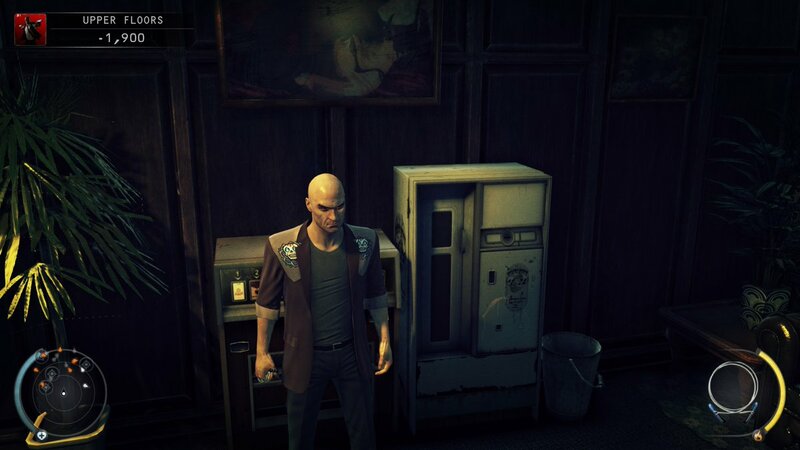 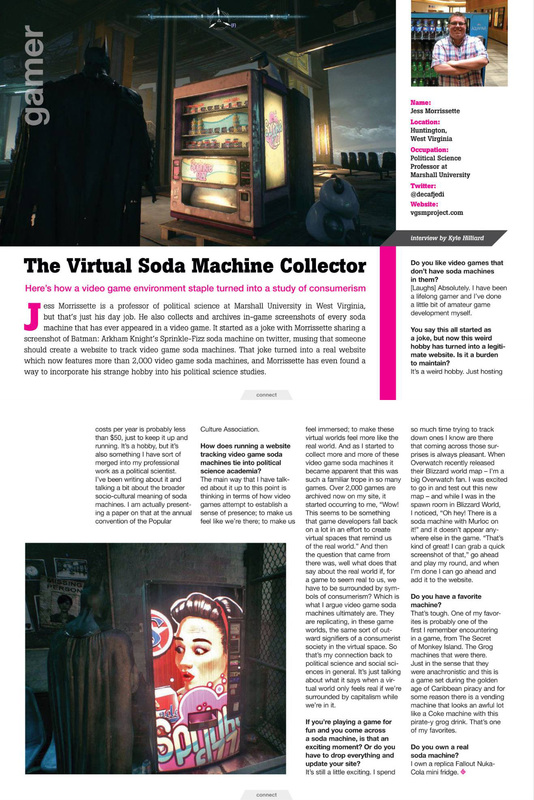 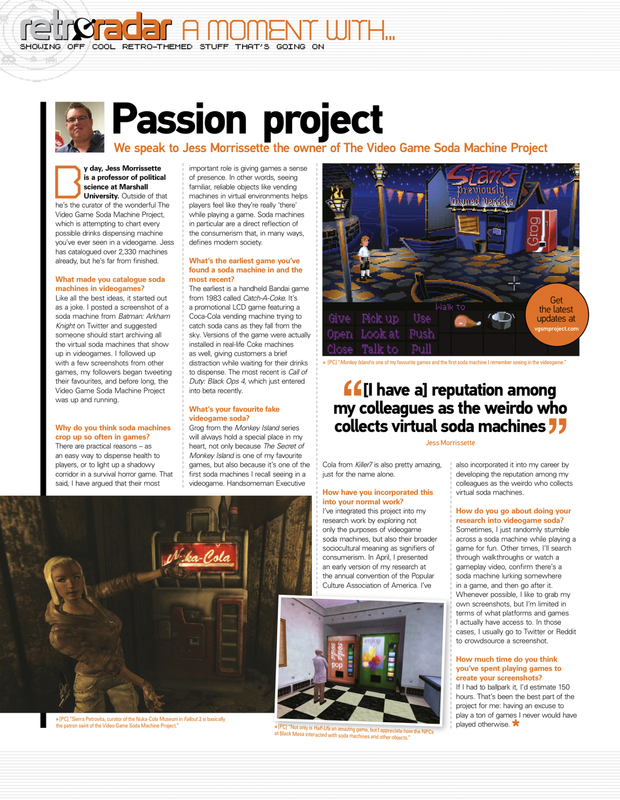 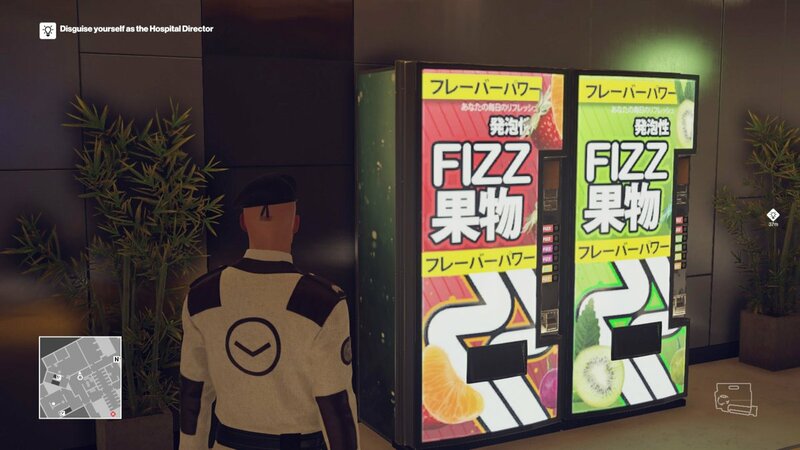 This nondescript soda machine from Hitman: Absolution blends into the background almost as effortlessly as Agent 47. 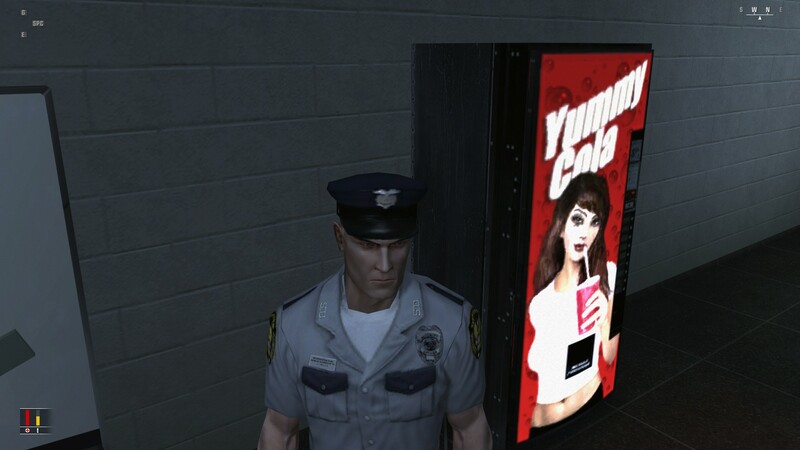 A stoic Agent 47 poses in front of a Yummy Cola machine in Hitman: Blood Money! 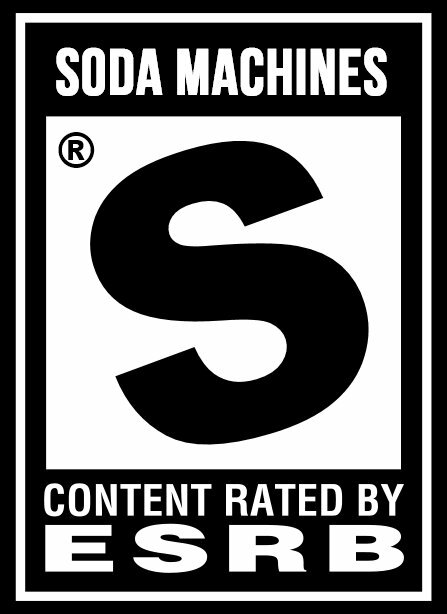 Also, how terrific is that kid stuck in a perpetual cannonball? 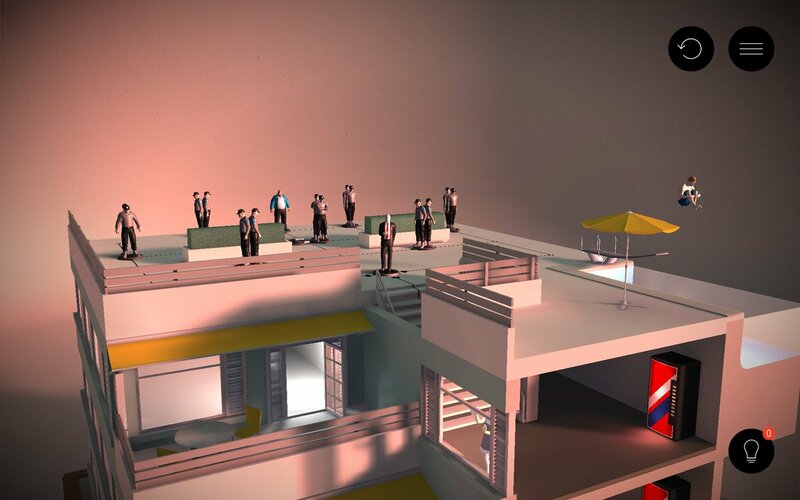 Thanks for the screenshot, @Tomcat_! 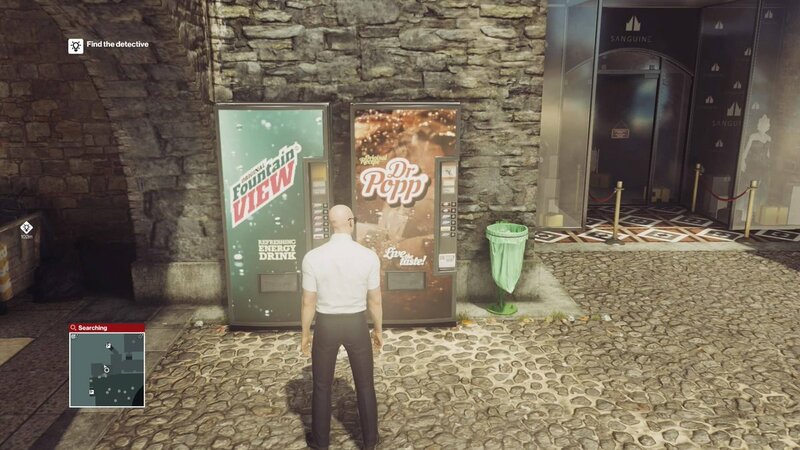 Fountain View and Dr. Popp, courtesy of Hitman (2016). 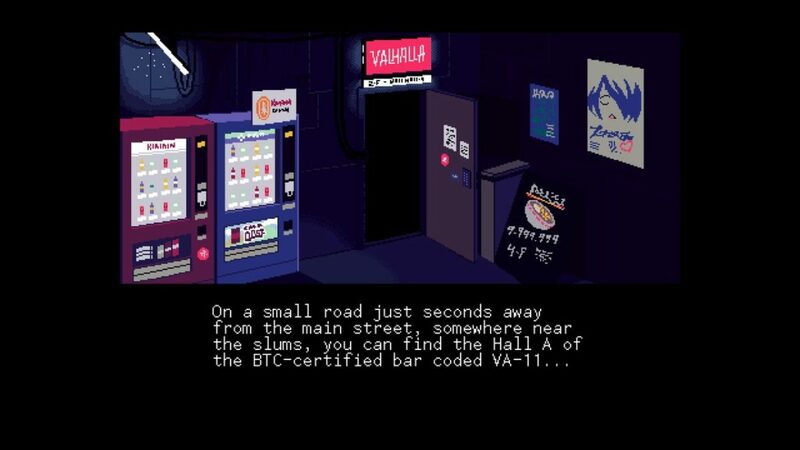 Thanks, @MonsterJail!